Q.What is Live Debt Free Now? Live Debt Free Now is one of the most experienced and seasoned Canadian firms assisting consumers through financial difficulty. Our professional and licensed counselors have been helping thousands of families and consumers for nearly a decade. Q.Are you a Canadian firm? 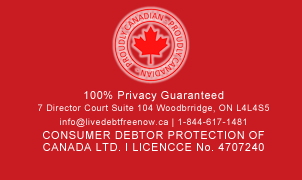 Live Debt Free Now is 100% Canadian owned and operated. No. Live Debt Free Now provides a comprehensive debt management program tailored specifically to your budget and circumstance in order for you to settle your obligations in a timely manner.